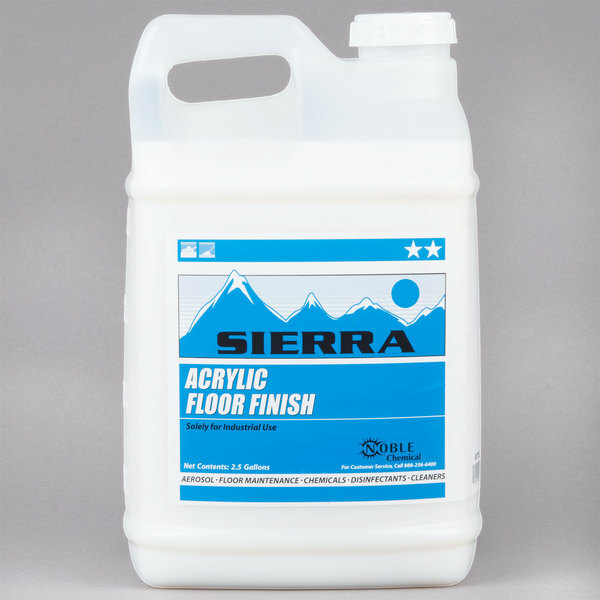 Get your floors looking great again with this Sierra by Noble Chemical 2.5 gallon acrylic floor finish! 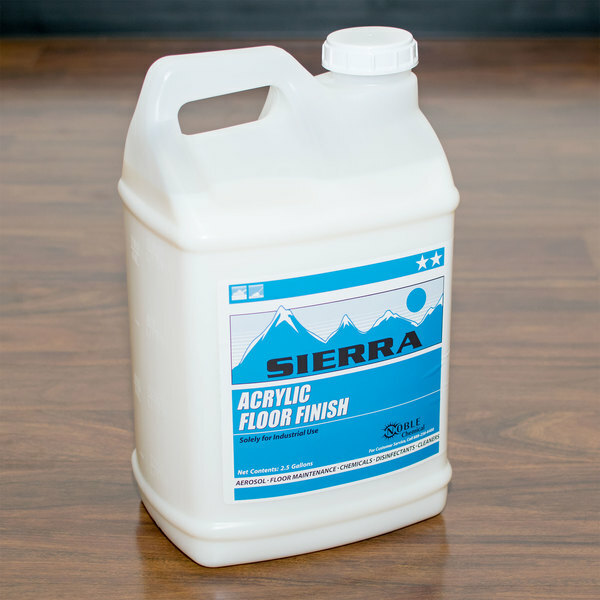 A true workhorse in any maintenance program, use this floor finish to get and maintain glossy, beautiful floors in your kitchen or office space. This acrylic floor finish is a metal cross-linked finish, with high initial gloss and durability with exceptional responsiveness to spray buffing. Nothing impresses guests more than a clean, well-maintained establishment. 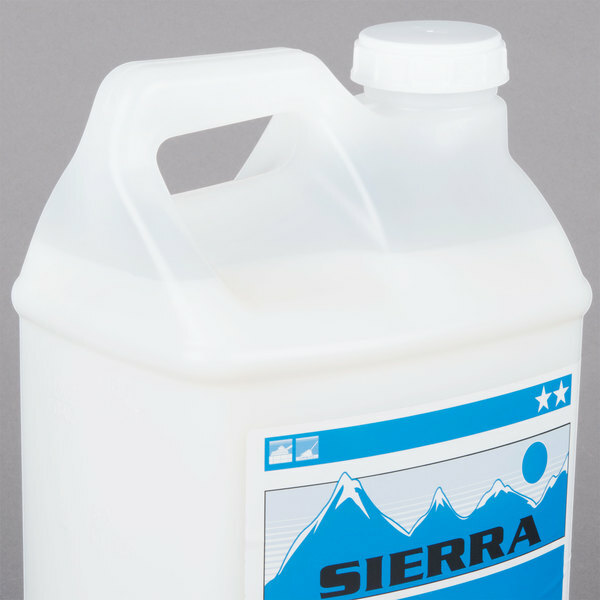 This product meets the maximum content requirements for Volatile Organic Compounds (VOCs) as established by state and Federal regulations. 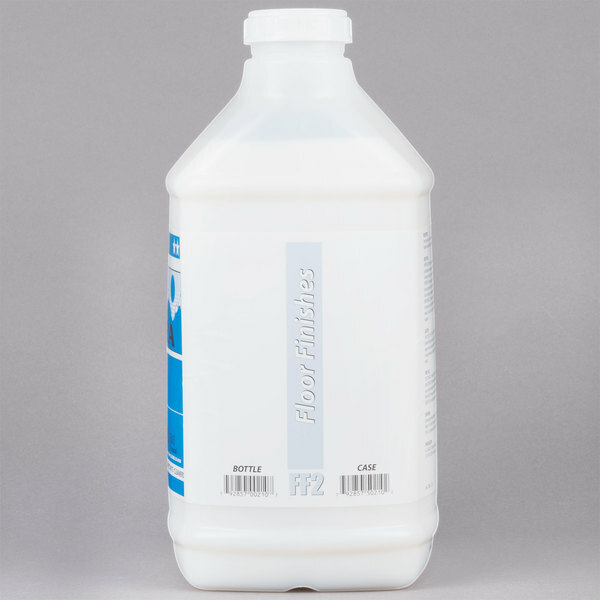 Not only does this acrylic floor finish work to maintain clean floors, but it provides a high gloss finish as well. Revive dull, worn floors by giving them a much needed makeover as they shine bright while holding up against everyday use. If stripping is necessary, use a high quality product and follow directions accordingly. Then, sweep up excess dirt and dust and then clean with a good quality cleaner to remove dirt and oils. Follow with a thorough rinsing and allow to dry completely. Spread a liberal coat of finish evenly across the floor with a clean mop or applicator. Allow each coat to dry at least 30 minutes before applying the next coat. 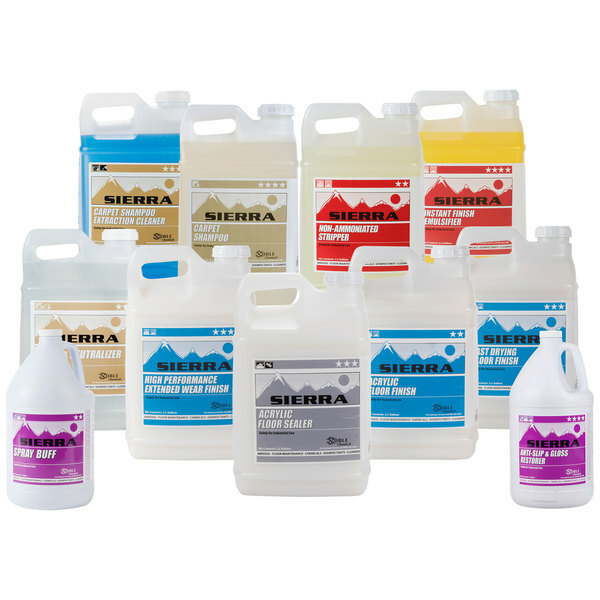 Two or three coats are desired initially, depending on the condition of the floor and gloss desired. The floor may be maintained using a quality floor cleaner and damp mopping regularly. Spray buffing or mop-on restoring may also be done after sweeping up loose dirt and dust. Follow directions for each product accordingly. 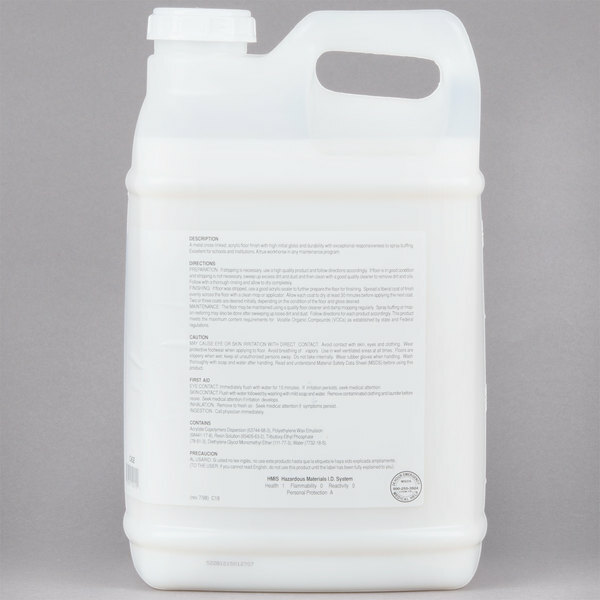 Noble Chemical brand supplies are a smart addition to any restaurant, hotel, or healthcare facility. Be sure to check out our quantity discounts for even better wholesale savings!